Renting a vacation house on your holiday is a great idea. You will get to enjoy the freedom that you don't get in a hotel, and you can find somewhere perfectly situated to enjoy all of the things to do in the area and make it into a home away from home. But traveling with kids brings its own challenges. So how can you ensure you find the right accommodation for everyone? Here are some tips to keep in mind. Kids need lots of space when you go on vacation, so this is one thing to keep in mind. Ideally, search for somewhere that as plenty of outside space to play in, but inside space is also welcome. If there is not much space, try to find somewhere near to a park or the beach. Location is essential when choosing a vacation home. You may want to be as near to the main amenities as possible, whether that is a beach, local attractions, or the ski slopes. Always factor in the extra traveling time required to get to these places. Find out about distances involved and don't be duped by a map that makes them seem nearby when they are far away. You will probably want a good selection of facilities where you stay, and these should be listed on the website. Things like a television, Wi-Fi, DVD player, washer, and perhaps a highchair and cot are great, as well as other things like board games and outdoor games for the beach. 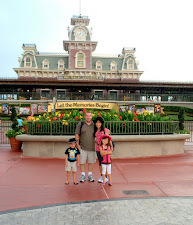 Safety is paramount on vacation when you have young children. This is especially important if you have a swimming pool, lake, balconies, and stairs, although how concerned you are will depend on the age of your children. Also consider the overall child-friendliness of the place. Is it advertised for families? Have families stayed there before? Some places may prefer adults only, so always keep this in mind. Do some research of your own, and you may also want to read the guide in USA Today regarding other ways to prevent things from going wrong on your vacation. When you have a good idea about what you are looking for, don't hang around and instead get searching as soon as you can. The best places will go quickly, especially in popular resorts. For example, if you are looking for Park City lodging, you will want to book the best place you can before it gets snapped up. Wherever you are going with your family, make sure you keep these tips in mind when looking for your vacation home. You will often have many options to choose from, but getting the right one can make a big difference to your vacation. So start looking early and book up your vacation home as soon as you find one that ticks all the boxes. Joyce Evans has held a number of positions in the travel industry. She enjoys extensive travel herself and likes to share her thoughts and experiences online. You can find other articles written by her on a number of different sites. Rye Bear (Ms. Burrito) is not feeling well today, she is a little bit fevered so it changed the plan we had for today. We were suppose to go for a long walk in the park but she was hot when she woke up this morning. I gave her some medicine but stil feeling bad till now. I took EJ for a bike ride around our neighborhood for 15-20 minutes to prevent him from being bored. He is not allowed to use electronics so all he could do is read, do stuff with us, and practice his piano. He love to ride a bike so it was a perfect date for me and my prince charming. These photos were not taken today though. This was taken few weeks ago when he first got his eye glasses. It is apparent that I can't control their growth, they are growing bigger and bigger each day. Time flies! I feel like my children are starting to slip away from my grip. It seems like it was just yesterday when I became a Mom and now I have two growing up kids that are full of personalities. Oh boy, I think the age is showing on me already lol. Looking back at the Birth Announcement Cards that we sent out when we had our babies makes me miss having small bundles of joy at home. My husband sometimes tells me that he wishes that we could have another one but I don't think I could handle another pregnancy. Both of my pregnancies were both hard so I really don't want to go through that again. My first born almost died at birth so it really scared me. But despite all the complications, children are precious gifts! On a lighter note, getting pregnant is very exciting. Picking out the best designs of Baby Shower Invitations is a lot of fun especially nowadays where there are so many companies that offer a huge variety of beautiful designs and options. Basic Invite is one of the leading companies when it comes to invitation and cards. They have a big selection of designs for baby shower, birthday invitation, wedding invitations, and many moire special occasion. I've seen one design there that I really like for birth announcement. It says "Anchor Aweigh". I wish I could have had that when I had my son. My husband is a retired Navy so this could have been a perfect for my son's birthday announcement. I can still remember when I sent out the First Birthday Invitations for my daughter. I was still new here in the US so I only sent a few because I don't have many friend yet. It was a very exciting moment for us to see our first born turned one, now she is almost 10 years old. She will be ten next month which led me to the question, where did the time go? I was just thinking, in five years, we will have a teen driver and it makes me sad, scared, and happy at the same time. 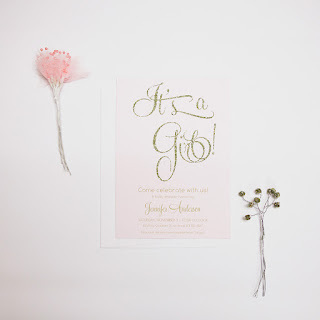 But anyway, if you are looking for some unique design for cards or invitation, check out Basic Invite. They definitely have a great selection for any occasion. Check out the photo below. I like the simplicity and elegance of it. 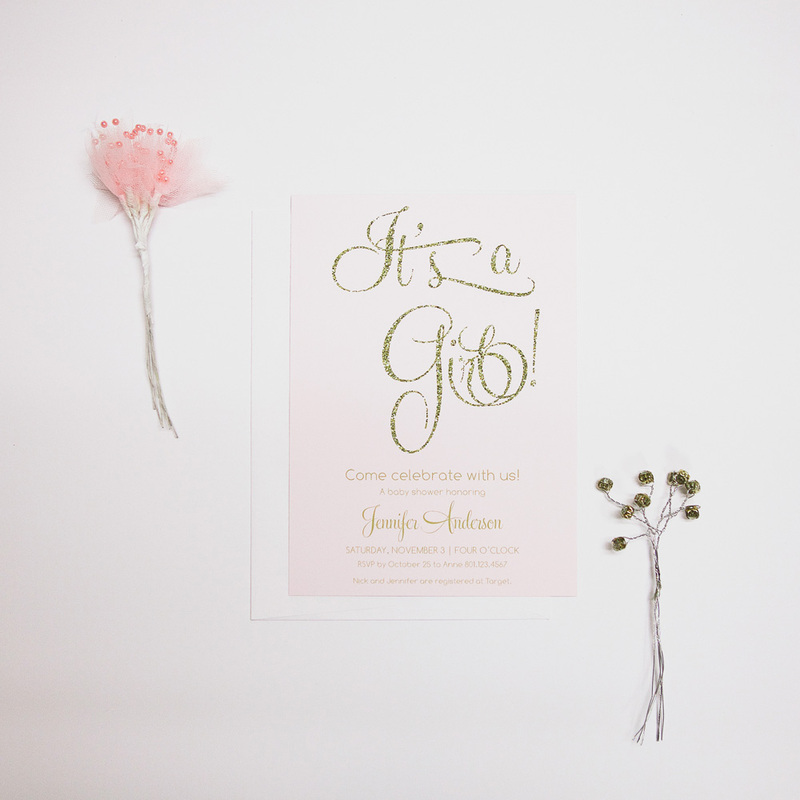 Oh, don't forget to check out their baby shower invites, they are having a 40% sale until Sunday, just use the code BABY40. Lastly, you can enjoy a 15% everything when you use the code 15FF51. The kids were pretty excited to show their craft projects for my husband on Father's day. As soon as they wake up, they brought the box in the living room so their Dad can see it. These are the kind of gifts that I love because the kids put thought, time, and love into it when they prepared them. These are empty candle jars that I saved and we made them into photo jars! My husband also love the paintings that they did for him. Even my son took a lot of effort into making Daddy a special one. After the mass, we came home and let our fur babies out so they can do their business before we went to visit my father-in-law. It gave us the chance to take some photos in our front porch. Moments like this makes me want to have more kids, lol. Just kidding, two is enough for us, just a perfect number for us to raise and support. We brought Dad a fresh strawberry pie. Glad that Dad was in a very good spirit when we visited. He wasn't loaded yet so the kids had fun interacting with him. I always like it when we go there and my father-in-law is not drunk because he act normal but when he is drunk, he is very ornery. Before we left, we took a family photo. My husband took the kids to the swimming pool when we came back home but I stayed and mowed the lawn since it's Father's day so I gave him a break, lol. It's been raining here so we were not able to mow our yard for a week, the grass were so tall already and it was a bit harder to cut. You have to go very slowly so the mower won't die. But anyway, I got it all done and my husband was impressed as I cut everything including the outside part of the fence. I normally leave that for him but tis time I finished everything. A few months ago, I saw a post on facebook by a colleague saying that there is a sale of lunch bags on amazon so I clicked the link and the price was really tempting so I bought one. Fast forward 3 months after I purchased it, it did not arrived. So I contacted amazon but they told me that they couldn't reach the seller so I bsically just wasted my money, sigh. Never again will I buy from a seller who isn't from the US. Anyway, I have seen beautiful and personalized lunch bags at this website and planning to buy a couple because my children's tin lunch boxes are dented already. I got that from a diffrent company and they are great since it has my kids' names. The only downside of tin lunchboxes is that they get dented when it fall or bang on concrete. Okay, this is something that is old but really new to me. I only see sleigh on movies but not for real. This was one of the antiques over at the Brooke County Historical Museum in Wellsburg, WV. A sled, sledge, or sleigh is a land vehicle with a smooth underside or possessing a separate body supported by two or more smooth, relatively narrow, longitudinal runners that travels by sliding across a surface. Most sleds are used on surfaces with low friction, such as snow or ice. In some cases, sleds may be used on mud, grass, or even smooth stones. They may be used to transport passengers, cargo, or both. Shades of meaning differentiating the three terms often reflect regional variations depending on historical uses and prevailing climate. It would be magical to be able to ride a sleigh in this modern times, wouldn't it? A few months ago I saw an ad at Mary H. Library about The Military Heroes Project so I copied the info and contacted them about apossible contribution. Somebody responsded to my inquiry so we communicated back and forth via email. hey sent me a form for my husband to fill out. We submitted two, one for my husband and the other for his Dad who is a WW2 veteran. He also included his Dad's late brother, Paul, who died in and was buried in Normandy, France. I have met people with very low regard for men and women in uniform but it doesn't change my high respect for those who really sacrifice their lives for us to enjoy our freedom. Anyway, back to the prohject that I was talking about, my contact asked if they could interview my husband and hubby agreed so on June 6th, we went to Brooke County Historical Museum so he could be interviewed. I told my husband that it would be a great opportunity for the kids and I to tag along with him so we could explore the museum and the kids were very excited for the trip. The museum is in Wellsburg, West Virginiam it's a couple of cities away from our city. We left home early so just in case we get lost or something (we always have that luck when we go somewhere even with GPS), we have time to find it. We pulled the address of the museum online and that's what we put in our GPS that was a mistake, I shuld have paid closer attention to the emails that my contact has been sending me as it has a new address. Wellsburg is a small city, it looks very peaceful there but you can tell that it is one of those cities that ius rich with history. My daughter find this crumbling brick fascinating, I don't know why but she thinks it's amazing how it looks old but still pretty. We parked far away from the old address that we found because the parking area there was full. So we walked and enjoy every sight we see. Again, anything historical fascinates my daughter so we stopped by in front of this courthouse building. According to the info that my daughter was looking at, The First Courthouse (Brooke County, Virginia) was built inthe place where this courthouse is. It was built in 1799 by Samuel Herdman, who lived to see it torn down and rebuilt in 1849 as the present Brooke County West Virginia Courthouse. There's two of this in front of the courthouse. Here's what we saw when we arrived at the address, lol. That was my bad of following the address online. They should edit the address they have online because it creates confusion, well, at least to people like us who has never been there. Anyway, before leaving the place, I took a quick snap of this beautiful view. Too bad, the boys are already heading back, we could have had a picture by the park and enjoy this view. 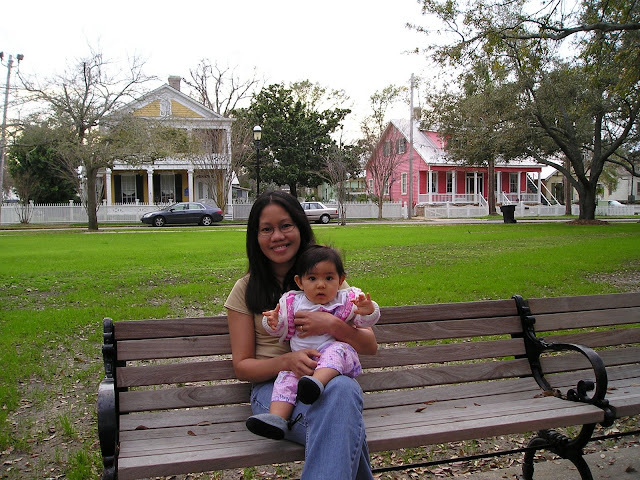 Here's another thing that fascinated Ms. Burrito, an old wooden house. The info on this was in the museum but I failed to read it. We pass by the city hall when we were looking for the museum. We had 5 minutes left when we finally find it. We had a little exercise walking around trying to find this place but it's worth it. When we arrived, I asked the person who will be interviewing my husband if we are allowed to take pictures and she gave us permission. There are tons of neat things to see there, lots and lots of information through displays. I took pictures and my kids took pictures as well using their iPods. Daughter said, the cel was very small. It is nice that they were able to display the orginal jail cell there. This little guy here was so intriguesd of all the military display. These are old yearbooks. I think people who grew up in this place can go there and look back through this yearbooks. Here's my husband being interviewed. The mueum was huge and there's even a mini stage with these beautiful chairs in it. LIttle guy got tired of exploring the museum and he used the rest of his time looking at the photos he took and played games of course. Thanks to the little Miss for taking this photo of mine. We met Kathy (left) and Bobbie (right), they're the one who did the intervie. I have been emailing Bobbie ever since we submitted our entry and I finally got to met her. We also met Ruby, the lady who maintains and continue to work on mproving the museum. She didn't want to be in the picture but all the ladies were very nice. It's so nice to meet people who really give time to appreciate veterans. Thanks to you guys for making this project possible. The book will be released for the 4th of July. It will be available for sale so if you want to grab a copy, you can visit The Brooke County Historical Museum & Culture Center at 704 Charles Street, Wellsburg, WV 26070 . The museum is open to the public on Wednesday, Friday, and Sunday from 1:00 to 5:00 PM. Or, special tours may be scheduled by contacting Ruby Greathouse at (304) 737-4060. Coming back, we were very satisfied of our little trip. There are so much there to learn about history. We enjoyed the river view too. This river is what separates West Virginia from Ohio. I am so glad that I was able to convince my husband to submit his entry to the book because it will serve as a great reference for the next Cottrill clan. The book will be able to tell a little history about him, his Dad, and his two Uncles. I wouldn't be surprised if any of our kids decide to join the military when they grow up as it is in their blood. There's nothing wrong of serving the country, it is an honor and I hope that more people would appreciate the sacrifices they made and still making through their services. We dropped by Wendy's on our way home and have some burgers and salad. It was our first time inside Wendy's, lol. It was a fun ending of our trip.